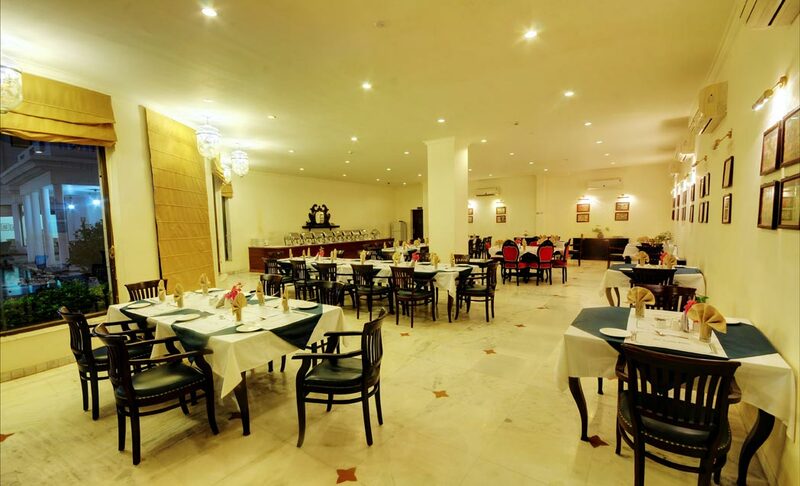 The Taragarh Restaurant is the main restaurant in the hotel providing mainly Indian & Rajasthani Cuisine, with a selection of few Continental & Chinese preparations. The ingredients are procured locally to ensure freshness of both Vegetarian & Non-Vegetarian dishes. We do serve dinner at the pool side on special request and according to the weather conditions. Bon-Fire is organised near the pool lawns to enjoy the ambience and the view of the Taragarh Fort during the winters. A special candle light dinner at the Dome can add to the charm for the guests seeking privacy and personalised service. The Hadoti Palace is committed to accommodating guest’s dietary restrictions, and we are happy to tailor meals according to your preference.